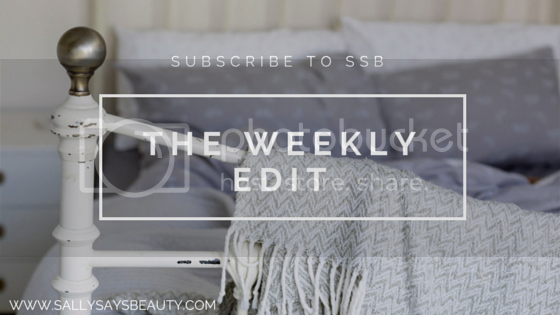 Grab a cup of tea and get settled into the sofa girls, because today it's new launch time. And believe me when I tell you, it's a good'un. I've been looking forward to the launch of niche perfume retailer Scent City for quite some time now, as I think the idea behind the creation is a solid and original one. Based in London, Scent City is an online boutique specialising in niche perfumes for both men and women, as well as luxury fragrances for the home. 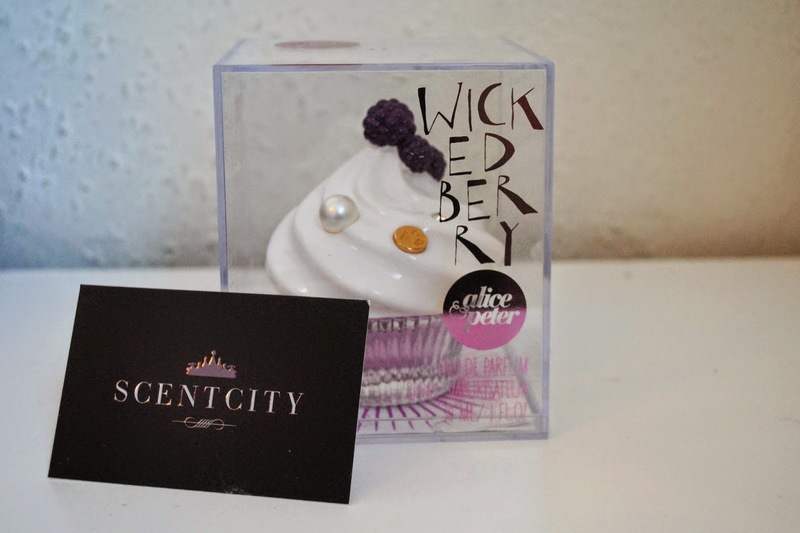 Scent City's promotional material really impressed me - the deep purple designs look sleek and sophisticated which embodies the brand perfectly. There's several different models used in their marketing, each of which have a distinct personality which is related to certain types of fragrances - for example, Ms Romance is 'Loving, with floral notes'. I think this is a really clever idea as you can pick a perfume based on the emotions you'd like it to make you feel or the situations in which you want to wear it the most. One of the most exciting niche brands that is available from Scent City in my opinion is Alice and Peter. A small but perfectly formed collection of unique luxury perfumes, adorably packaged, currently exclusive to Scent City in the UK. Scent City kindly offered to gift me one of Alice and Peter's fragrances to try out so I could get a better idea of the types of perfume designers that will be stocked on the website. 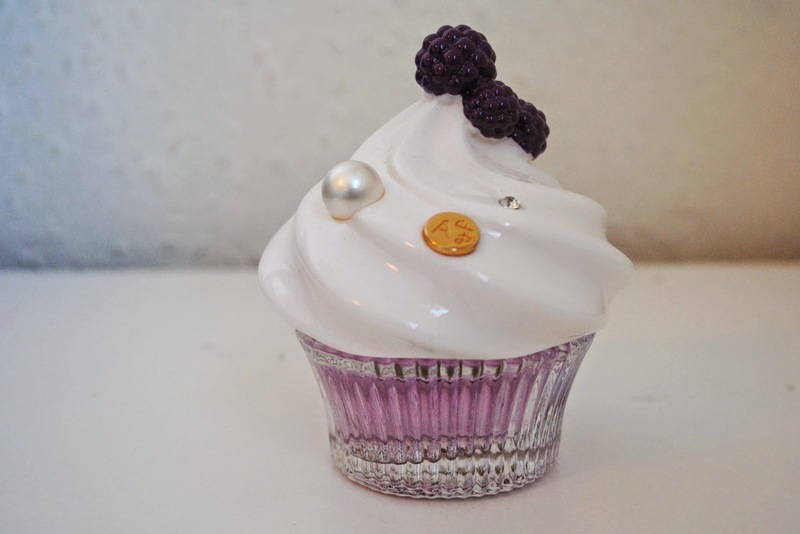 Alice and Peter's line contains five gorgeous scents inspired by cupcakes and confectionery - sweets and perfume, what's not to like? All five sounded gorgeous (Showy Toffee and Fancy Choco anyone?) but the one I liked the sound of most was Wicked Berry*. My favourite fragrances are either floral or fruity, and this combined them both! At first spray, the citrus head notes mix with the berry scents and the perfume smells entirely fruity. However, this soon clears and the floral notes at the heart of the perfume are revealed. Lilac and blackberry are the most noticeable heart notes, and the scent reminds me slightly of my favourite childhood sweets, Parma Violets! Rose, freesia and raspberry notes are also detectable, and throughout the day the base notes of vanilla, amber, and white musk start to come through. I've really grown to like this perfume as it's such a unique scent, it makes me feel all summery, and of course, the bottle is the cutest! As with all Alice and Peter products, Wicked Berry retails at £40 for 30ml - a little on the expensive side but considering the hard-to-get-hold-of designer brand and the quality I think it's a fair price. The longevity is more impressive than most of my perfumes, it's noticeable on the skin for over 10 hours, however it does start to fade after 5 or 6. The perfume arrived in a large box and was very well protected with polystyrene. I was really pleased to see this, as the last few times I've bought perfumes online they've been delivered in a small parcel with absolutely no protective packaging whatsoever. I'll certainly be ordering from Scent City in the future as I think it's a fantastic concept for a brand and the service/correspondence I've recieved from them has been second to none. 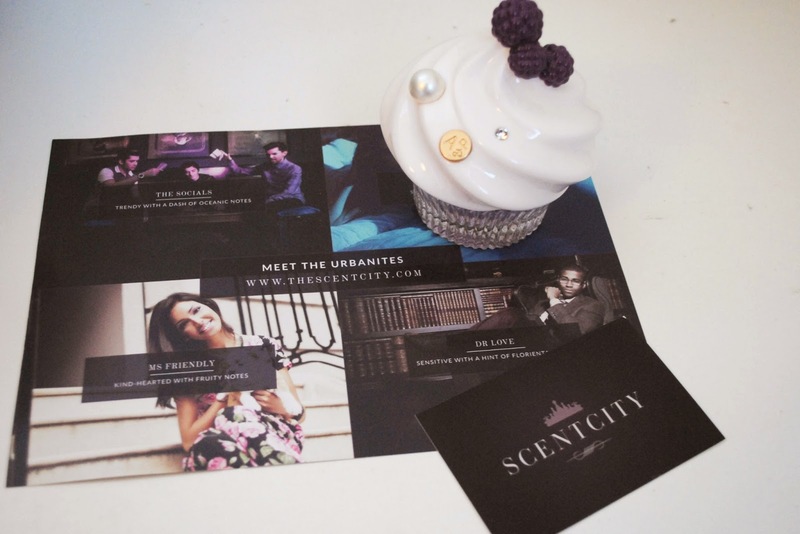 By the time you've read this post Scent City will have officially launched and you can check them out at www.thescentcity.com. You can also follow Scent City on Twitter, Facebook, and Instagram! *This product was sent to me for consideration by Scent City. All reviews are always 100% honest.